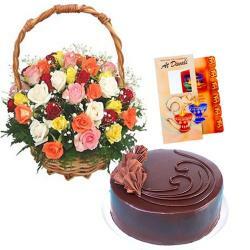 Product Consist : 2 Diwali Diyas, 1/2 Kg Black Forest Cake along with Basket Arrangement of 22 Mix colourful Roses. 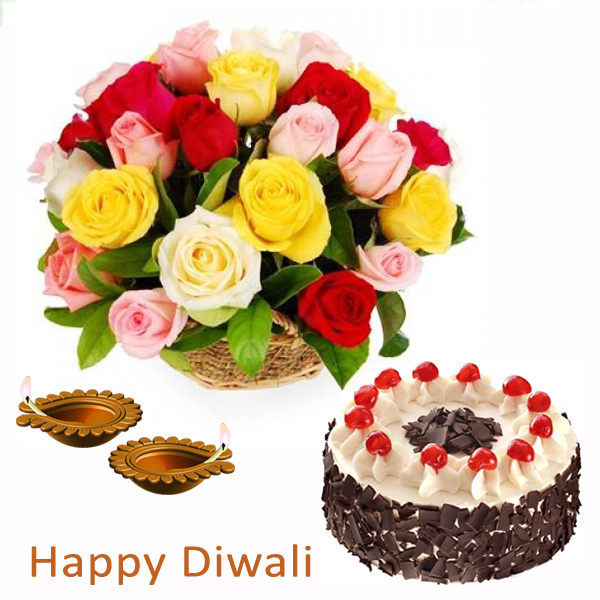 The sweet smell of roses, sweetness of cake and twinkling of earthen diya, celebrate the auspicious occasion of Diwali with your friends. cheer up with the roses and celebrate the occasion with the sweet taste of black forest cake make their lives full of positivity and happiness this diwali diya. 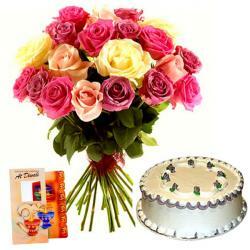 May the bouquet of flowers make their life as beautiful and fresh as the flowers! 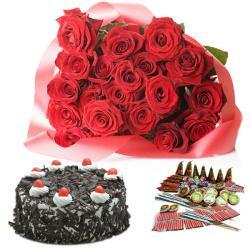 With the hands full of love and blessing gift this amazing pack to your friends. 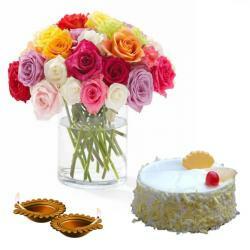 Product Includes : 2 Diwali Diyas, 1/2 Kg Black Forest Cake along with Basket Arrangement of 22 Mix colourful Roses.